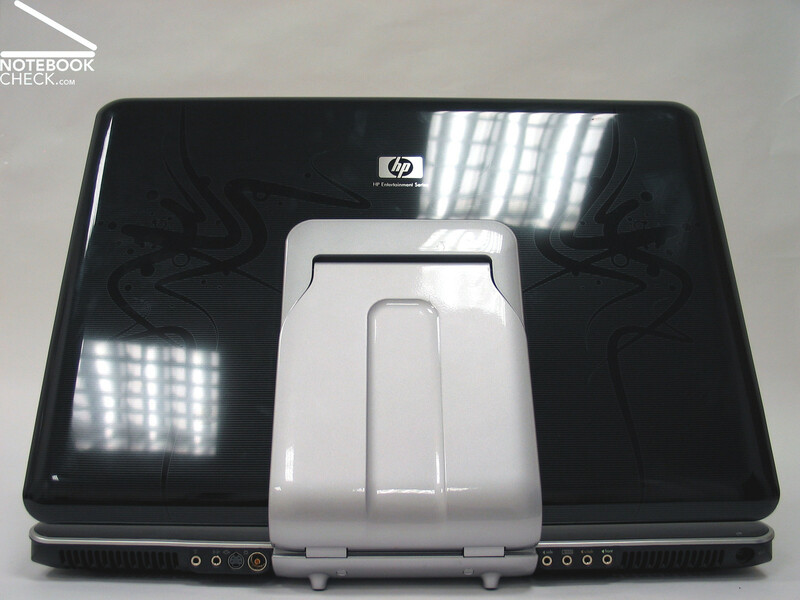 The HP Pavilion HDX 9130 EG is very attractive in several aspects. It's glossy case in dragon-design hints for a lot more features to come. Equipped with an Intel core 2 Duo processor and an ATI HD2600XT graphics card, it is a high performance multimedia all-rounder, ready to do a variety of tasks. We think this is a great thing, if only it wasn't so heavy. 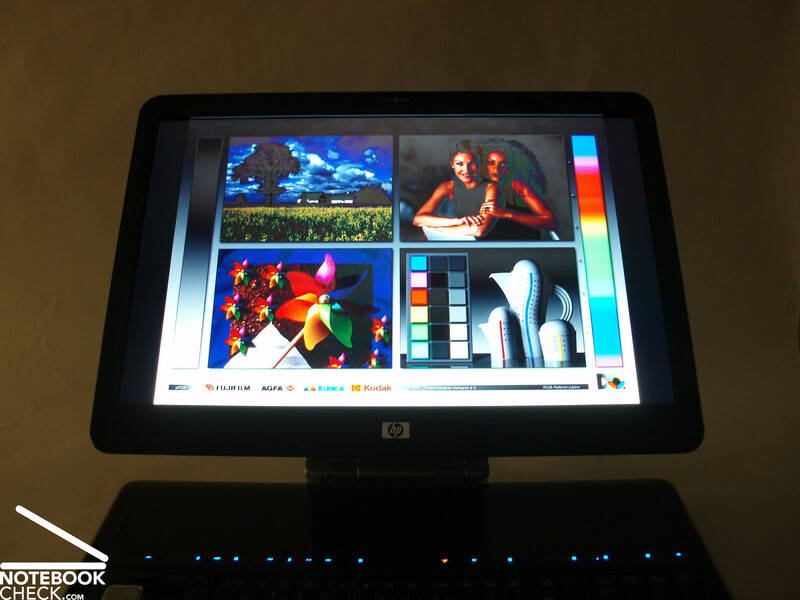 The HDX9130EG, created by the American producer Hewlett-Packard, is a multimedia giant that doesen't leave many wishes unfulfilled. Although the 7.05kg desktop replacement notebook looks shiny and stylish regarding case and design, it stands heavy and clumsy on the desk. 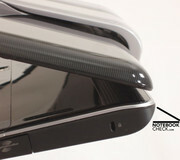 However, it's glossy appearance (except the bottom side) is a clear design advantage compared with it's competitors. 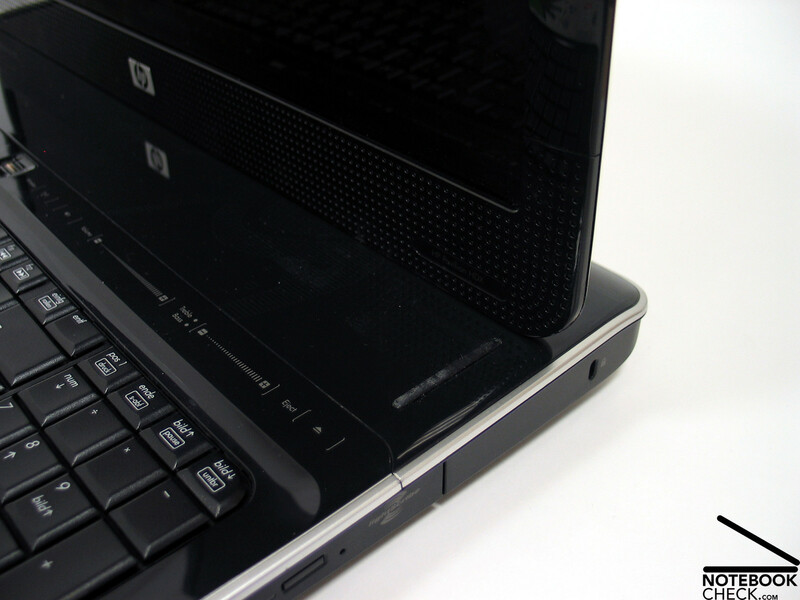 A major disadvantage of the glossy look and HP dragon-design is that every fingerprint or dust particle on the notebook's surface is clearly visible. A problem concerning workmanships is the inconsistent material in the area around the webcam at the upper edge of the display lid. 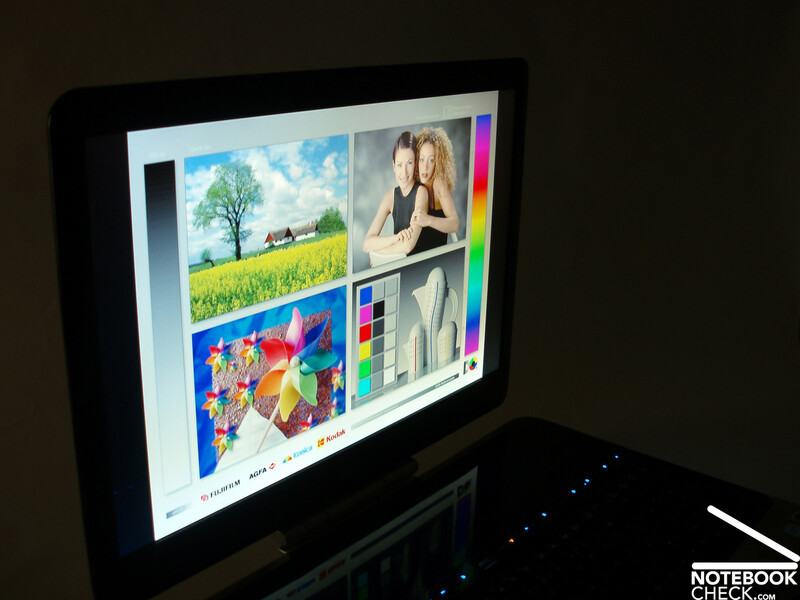 An outstanding detail of the HDX9130EG is the closing system of the display, though it needs some getting used to. 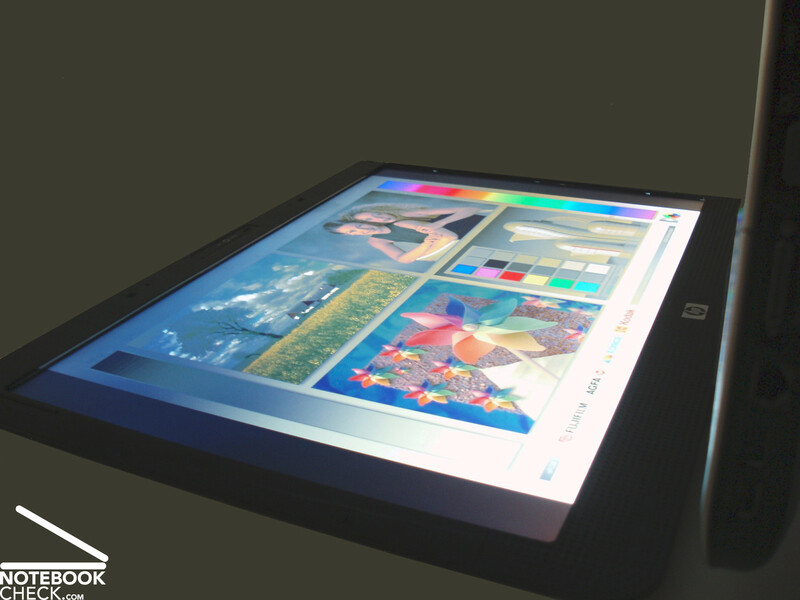 An option of this special solution is to bend the display back, without increasing the distance to the eyes. The closing and opening of the display doesen't appear very intuitive however, since the hinges are rather stiff and too close together. This causes a susceptibility to deformation, which certainly doesen't have a positive influence on durability. Furthermore, it needs some practice to properly open the display. The two rubber covers, which are supposed to protect the case from scratches, are not big enough in our opinion. 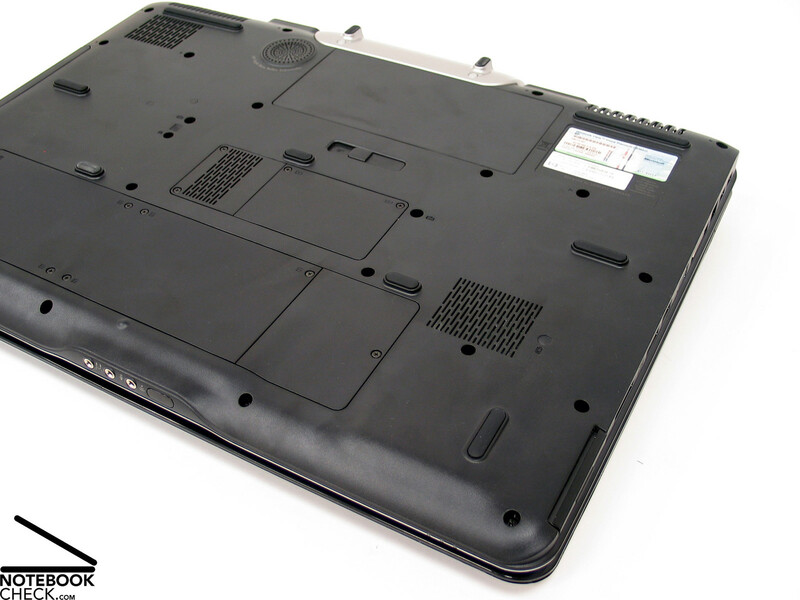 This quickly results in scratches and damages on the sensitive base unit. 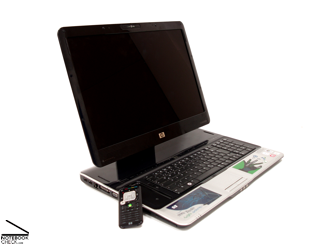 Regarding connectivity and the ability to plug external devices into the HDX9130EG, the HP-giant is hardly missing a thing. Starting with four USB 2.0 ports to a 4-pin Firewire (IEEE 1394) and a HDMI port to transfer full digital audio and video content, everything necessary to work properly is available. 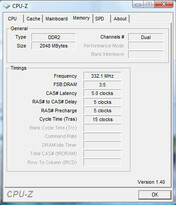 An eSATA connection, which makes it possible to connect external hard disks to the notebook over the fast SATA format, is included as well. 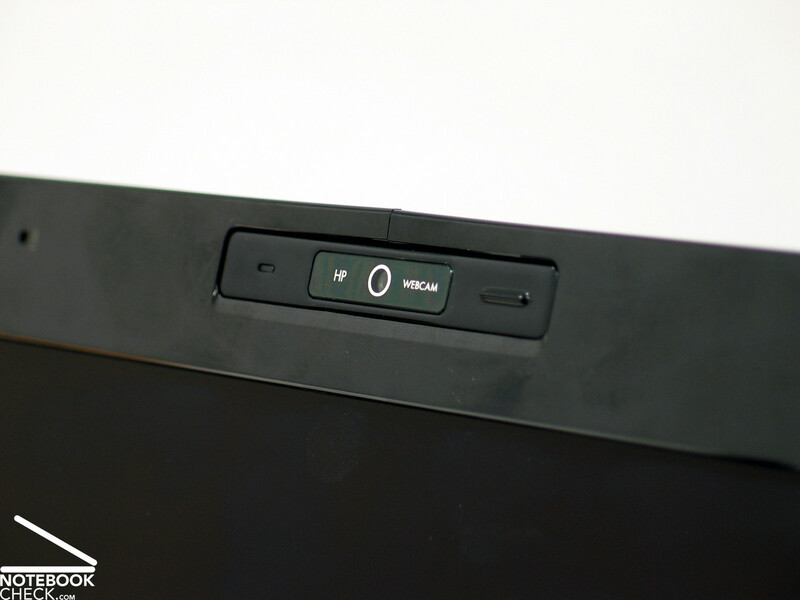 If that is still not sufficient, the HP Pavilion HDX also offers the option to connect to a docking station via an expansion port. It offers a lot regarding audio and video as well. Worth mentioning besides the VGA connection, which became something like a standard with this type of notebook, the S-video TV-exit, a microphone jack as well as the antenna connection and the earphone jack, are mainly the configuration for the external speakers. Back, middle/bottom, front... the HDX can be turned into a Hi-Fi replacement with the included remote control, which connects to the notebook over an infrared interface. 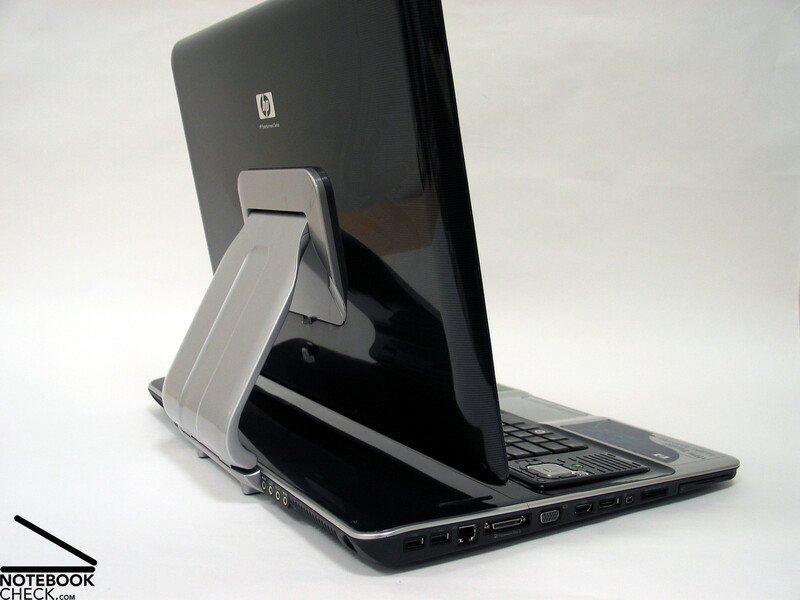 The size of the HDX9130EG made it possible to integrate a standard keyboard as well as a number pad, which simplifies writing, into the base unit. The keys can be easily pressed, don't clatter and seem well crafted. Blueish glowing, touch sensitive hot keys for sound control and to activate/deactivate the wireless LAN function can be found above the function keys. 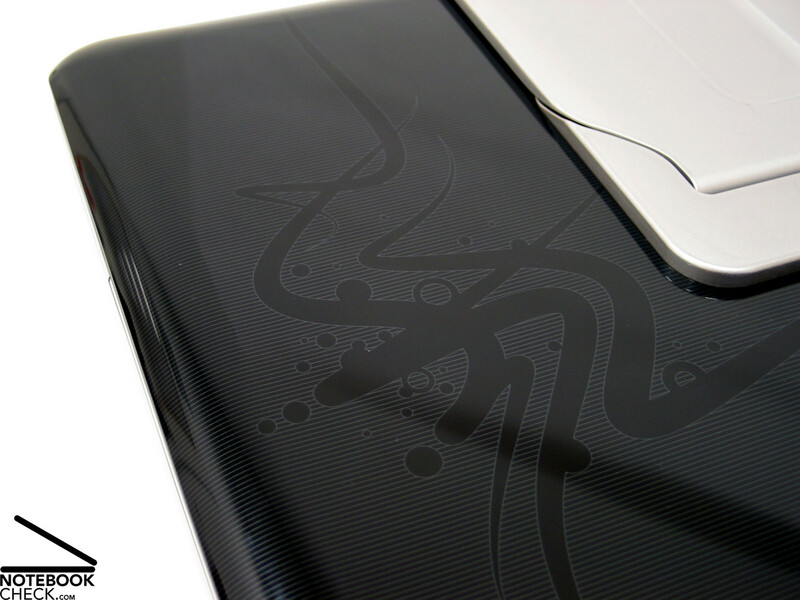 This design detail appears very stylish on the glossy surface. The finger print reader is also integrated into this key panel. The IR remote control is embedded on the left side of the keyboard. In order to dock it in it is simply pushed into the holder, while a small, mechanical, and in our opinion cheap looking and difficult to utilize latch is used to remove it. The remote control doesen't simply jump out, but has to be pulled out with a (hopefully long enough) fingernail. Definitely a feature that could use some improvement. Actually we can't understand why this additional device was even integrated in the first place. A desktop replacement is not exactly suitable to be used in a coffee shop or an airplane. We would feel sorry for the person next to us. Therefore it would have been enough to simply include the remote control with the shipment, without built-in docking station. 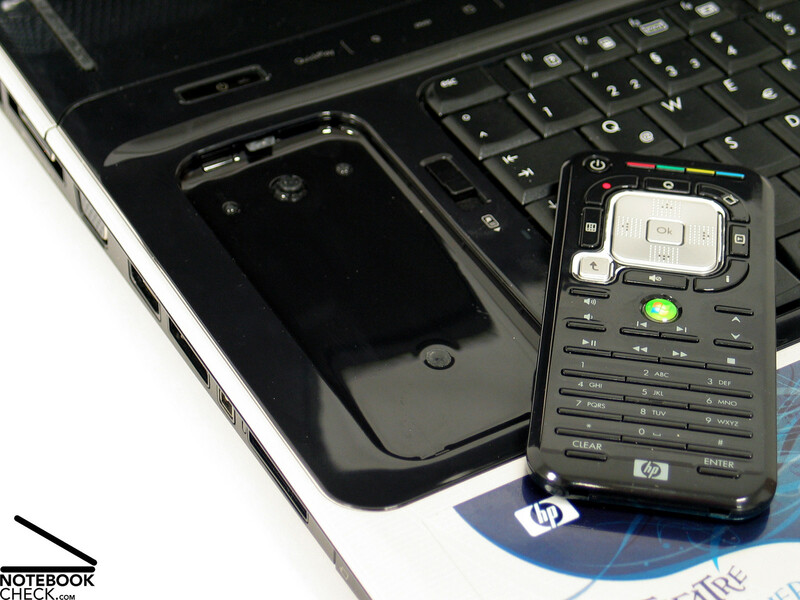 Despite these disadvantages, we think that the remote control is useful and makes controlling the notebook easy and convenient. The touchpad with separated vertical scroll pad and two buttons, is below the keyboard. An useful feature is the extra switch to turn the touchpad on and off, which makes searching the control panel unnecessary. 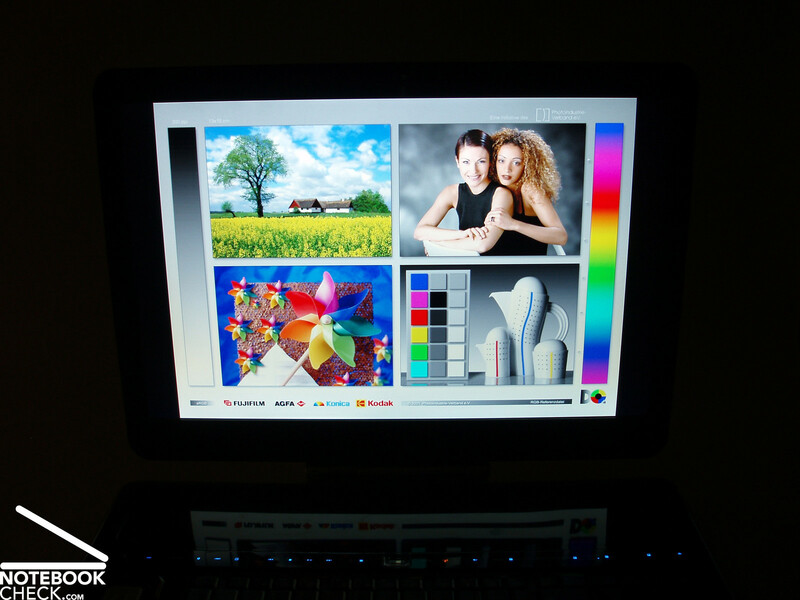 The clearly arranged 20.1" WSXGA+ high definition ultra bright view widescreen display with a maximal resolution of 1680x1050 pixel is very suitable for graphical applications as well as for watching television on the notebook. Only the heavy reflections lessened the good impression. The brightness measurements resulted in a very good maximal value of 237cd/m2 in the upper-middle display area, and a minimal brightness of 175.9cd/m2 on the right side of the display, which means an illumination of rather low 74.2%. The black value was 0.21cd/m2 in the test. The maximum contrast ratio is thus an extraordinary 1129:1 - an excellent value. The viewing angle stability is very good, whether the display is bend backwards or forwards by 45°. The colours don't change much and the working area stays sufficiently large. The horizontal viewing angles are good as well. Deviations of the optimal viewing angle in vertical direction make it clear however, that the image quality will suffer if the viewing angle gets very flat. 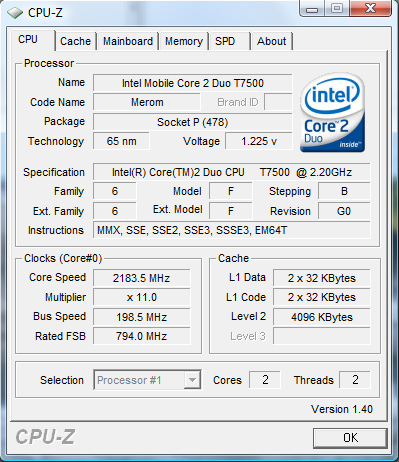 Our test sample was equipped with an Intel Core 2 Duo T7500 CPU, 2.2GHz, which was a good choice regarding performance. 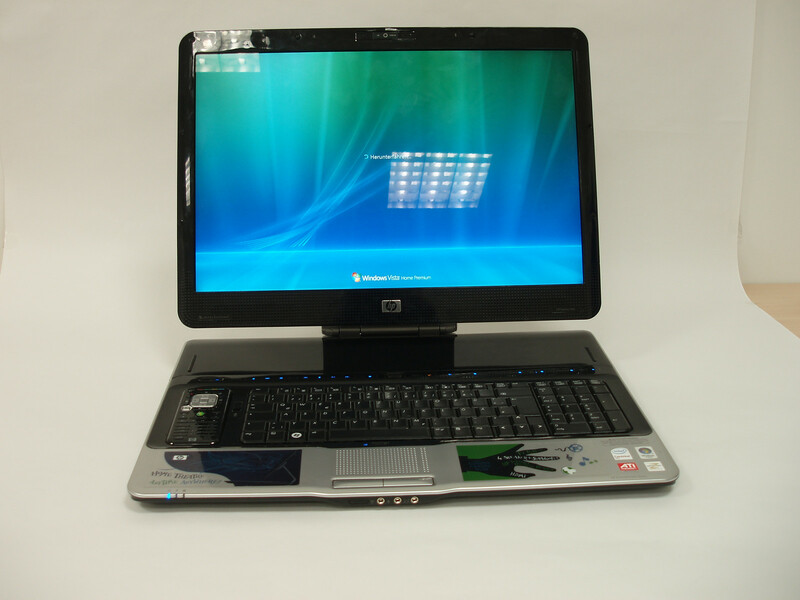 The ATI Mobility Radeon HD 2600 XT with 256MB dedicated GDDR3 memory is responsible for graphics. 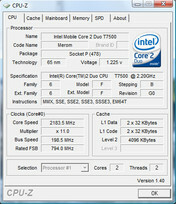 The HDX convinced in the benchmarks with very good results. With a good score of 9008 points in 3DMark 2005, and 4264 points in 3DMark 2006, it manages to position itself near comparable 17" desktop replacement notebooks with Geforce 8700M GT graphics. 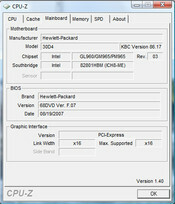 HP offers by now the model variant CH326EA, with Intel Penryn processor (T9300, 2.5GHz, 6MB L2-cache) and Geforce 8800M GTS graphics made by nVIDIA, as an alternative to our test sample. This hardware change significantly increases the HDX's performance in comparison with our test sample, and makes it even more suitable for gaming. More information about the nVIDIA Geforce 8800M GTS graphics card can be found in our comparison of mobile graphics cards. The Doom3 benchmark test showed high frame rates and smooth gameplay in every configuration. Older games are thus no problem for the HDX. Considering the performance of the ATI HD2600 XT, which is on par with the Geforce 8700 GT, it is safe to conclude that current games are playable, but not necessarily with highest detail levels and resolutions. Especially DirectX10 games cannot be played properly with high details. 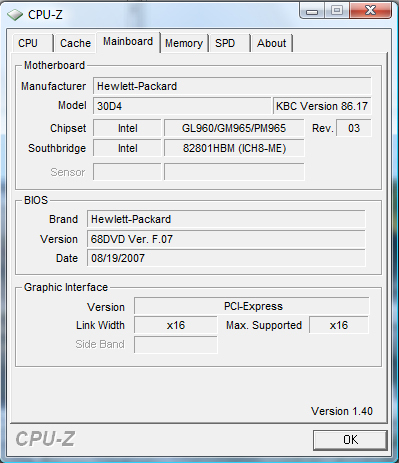 To get playable frame rates with such settings, a HDX version with 8800 GTS graphics card is required. 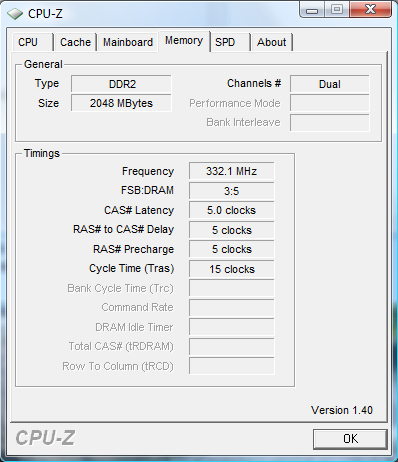 Our sample was equipped with two 160GB hard disks made by Toshiba (TOSHIBA MK1637GSX) and a speed of 5400 r/min. The combined space of 320GB is enough for a video and audio collection. The HDTune test showed average results: average access time is 17.4ms, average transfer rate is 36.4MB/second. Despites it's performance, the Pavilion HDX was almost silent and the fan was even during benchmarks barely audible. Multimedia entertainment, for which the notebook was made after all, and working are thus possible without being bothered by fan noise. Heat inside the notebook is not only evenly distributed, but also never reaches uncomfortably high temperatures, thanks to the compact case of the HP HDX9130EG with good airflow. Surface temperatures are thus never above body temperature. 35.7°C on the upper side and 37.0°C on the bottom side make working with the notebook a pleasant experience and helps to prevent sweaty hands. (±) The average temperature for the upper side under maximal load is 32.7 °C / 91 F, compared to the average of 32.9 °C / 91 F for the devices in the class Gaming. (-) The average temperature of the palmrest area of similar devices was 28.7 °C / 83.7 F (-7 °C / -12.6 F). 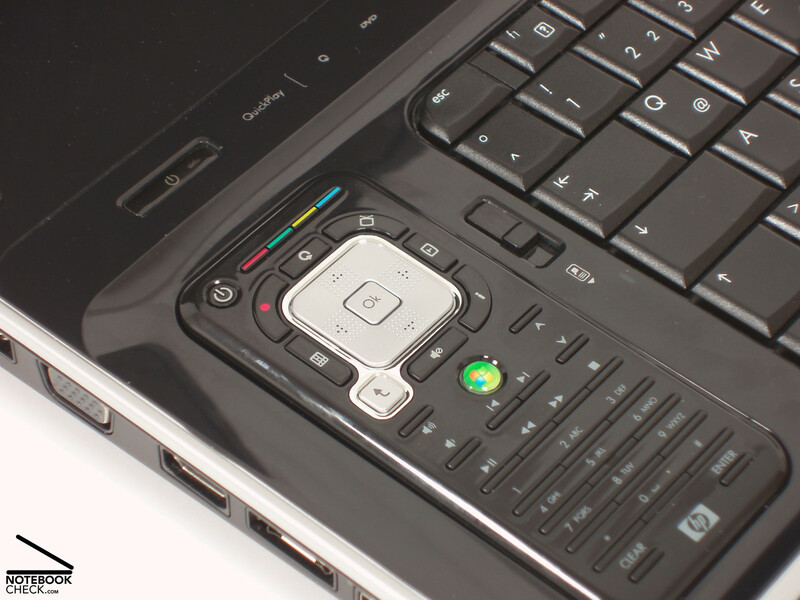 Clear sound without static is particularly important for a multimedia notebook that, as already mentioned above, could be used as an Hi-Fi replacement. We also carefully tested the tone colour and whether the sound overmodulates. The sound of our test sample, which can be heard through two loud speakers and a subwoofer, is without exaggeration a listening experience. There is enough capacity available for smooth classic music or hard rock and the sound system has no problems with high volumes. 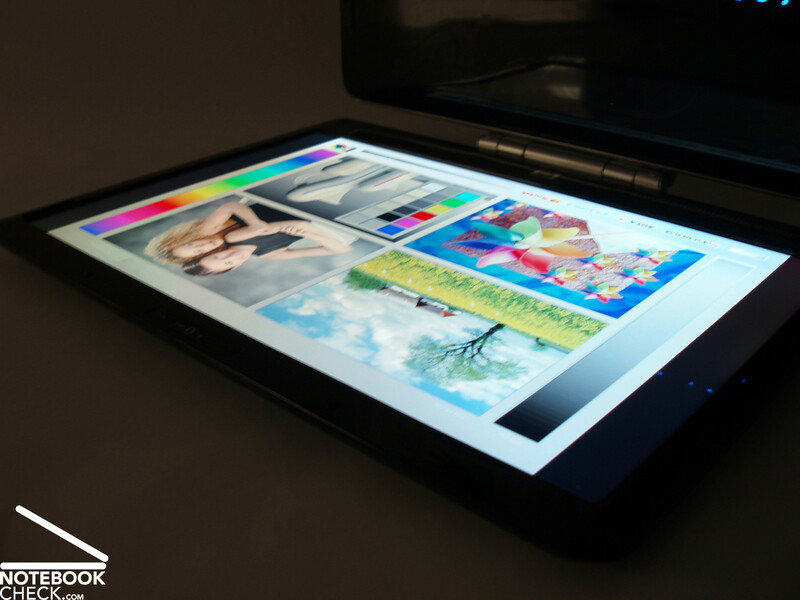 A notebook with such a large display, W-LAN, sound system and remote control requires a powerful battery. Our test sample was equipped with a 9-cell Li-ion battery with 10.8V and 83Wh. While extended mobile usages are unlikely due to it's weight, it is at least possible to comfortably save one's work during a blackout or watch Titanic until the battery finally runs out of energy. Unfortunately, the test sample wasn't available long enough to empty the battery completely. Power consumption was 51W on average in idle mode, and went up to 151W during full load in our benchmark tests. The HP HDX 9130EG did well in almost all tests. It does an excellent job as a desktop replacement, and although it's price is significantly above a similarly equipped desktop-PC, it offers at least minimal mobility. The design is appealing, in particular the innovative display closing system. But the test showed that especially the hinges could use a couple of improvements. The input devices fulfill all requirements. A number pad is included as well, due to the size of the base unit. Silent key strokes and good stroke depth with enough resistance simplify typing. A touch pad with separate buttons can be used as a mouse replacement. 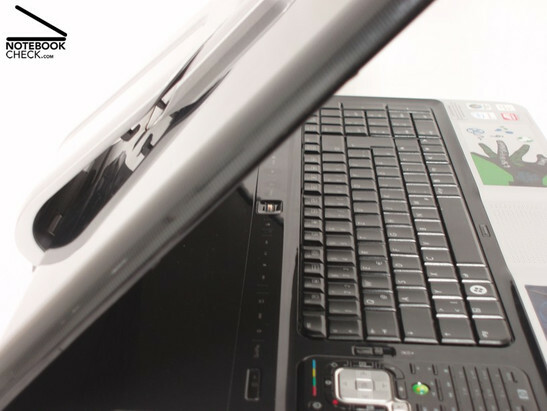 The heavily reflecting glossy display makes it hard to use the notebook outdoors. However, the Pavilion isn't very suitable for outdoor use due to it's weight anyway, so this shouldn't be a problem. 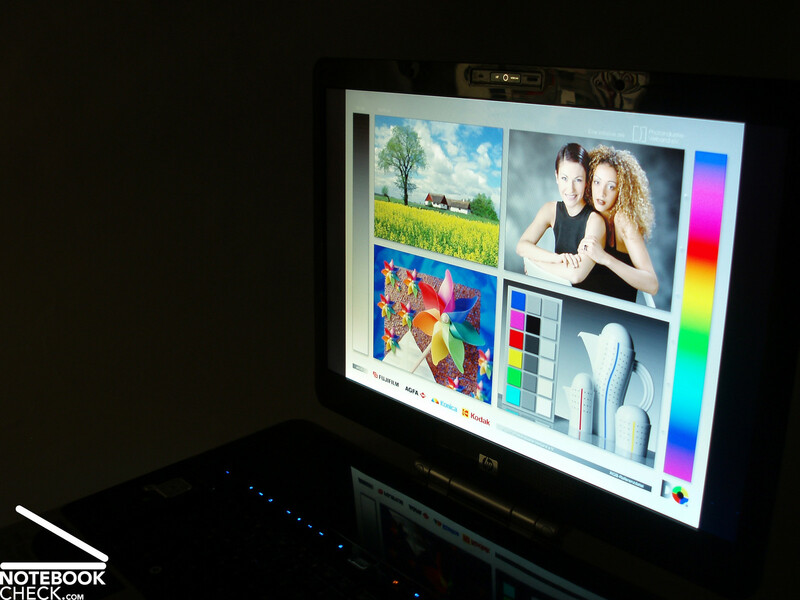 The colours of the WSXGA+ display are brighter and sharper than comparable models of other brands. 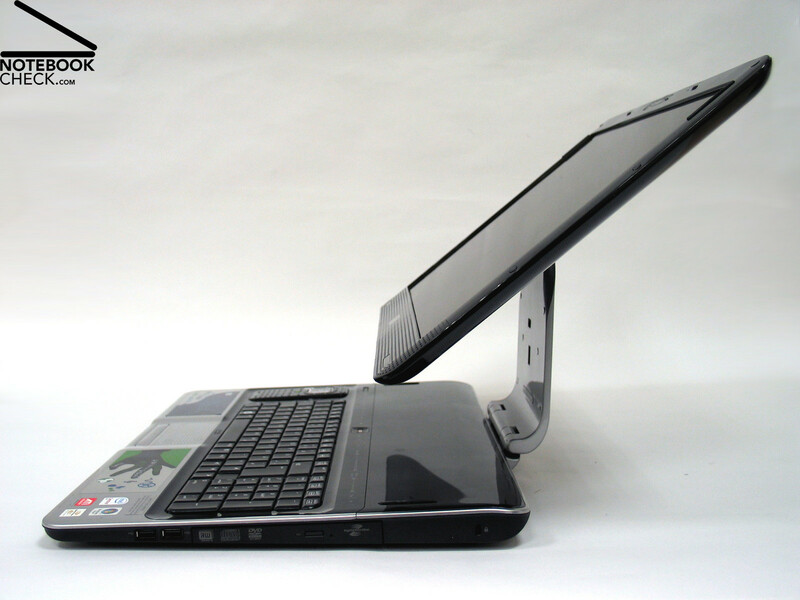 The good viewing angle stability provides a large working area and people looking at the screen from an angle can see the image with proper colours and sufficient contrast. The HDX9130EG offers good performance for applications, thanks to the combination of a fast processor and sufficient system memory. Noticeable are also the low emissions. This HP notebook is obviously not really designed to be used in coffee shops, since it's weight and glossy display limit it's usefulness in such a situation. All in all it is fair to talk about an innovative notebook, which impresses the user with comfortable usability, appealing design, and extensive interfaces. We would like to thank MediaMarkt Wels, who kindly provided us with the test sample. You can also buy the notebook there. The surface temperature kept below body temperature as well. Despite it's performance, the Pavilion HDX stayed surprisingly silent during the test. ...and the closing system of the display needs getting used to. However, the notebook does it's job as a desktop replacement well and is very suitable for office applications, as well as for not not too graphically demanding games. Especially neon lights cause heavy reflections on the glossy display. ...good performance, due to Core 2 Duo processor and ATI HD 2600 XT graphics card. 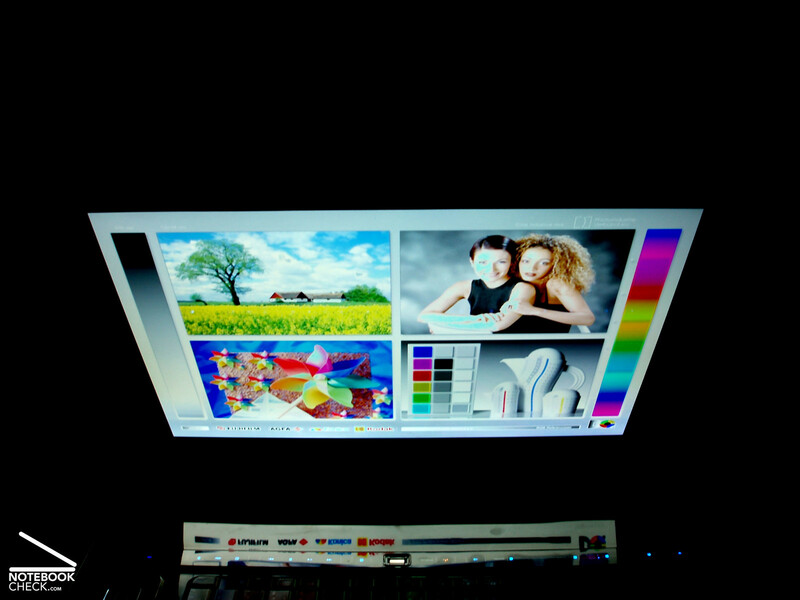 A webcam is integrated into the display. ... number pad turn the notebook into a multi talent. ... in impressive dragon design. 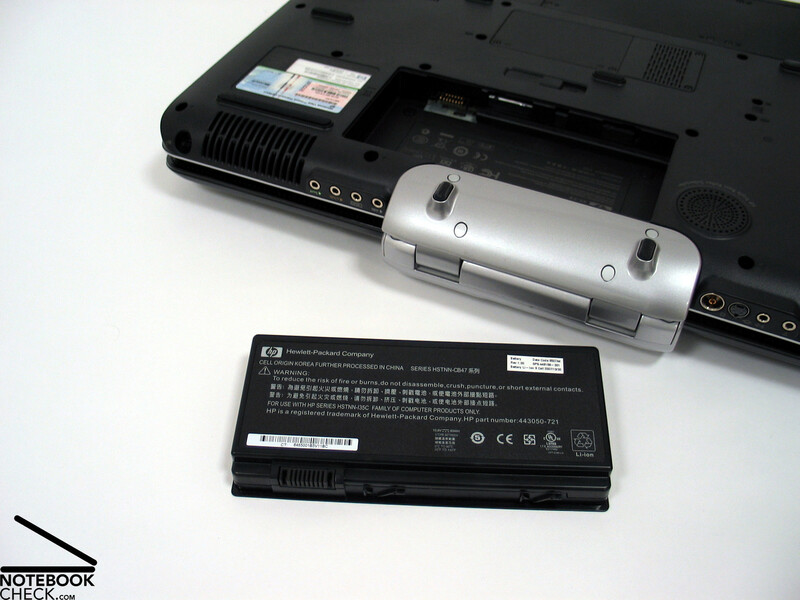 The battery of the HDX is mainly an emergency power supply.